Consider yourself crafty or accomplished with a knitting needle? Well folks, this one is for you. It’s ironic that I’m writing this as I am the complete opposite of crafty and am most definitely not gifted in the sewing department – threading a needle to sew on a button can be a tortuous task for me at the best of times. Even though knitting is not my middle name, I can still appreciate style and design and Mochimochi Land knitting and cross-stitch patterns have that in spades. They are also full to the brim with cuteness and a ‘just have fun with it’ mentality. 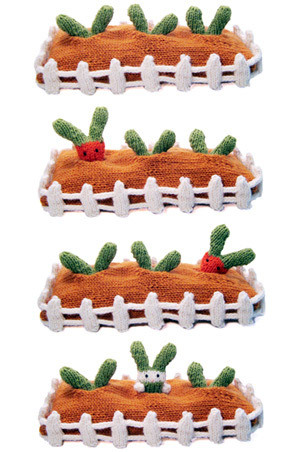 Perfect for our little people’s toy boxes, doll houses and tiny fingers, I’m loving the quirky knitting patterns such as ‘Ninjabun’ with its sneaky little rabbit in the carrot garden (pictured below). Terms like provisional cast-on, knitting on the round, mattress stitch and i-cord are a foreign language to me but they’ll come in handy for those purchasing the patterns. 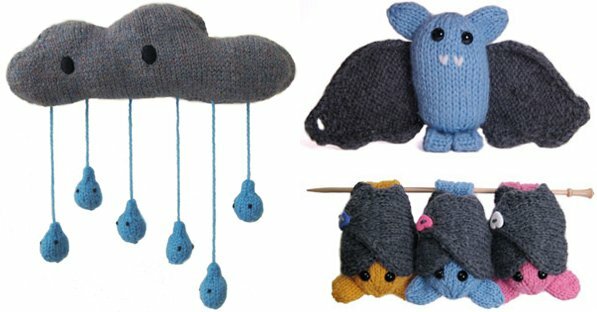 Each knitting and cross-stitch pattern is US$5 and sold as a PDF that will download directly to your computer – so easy! 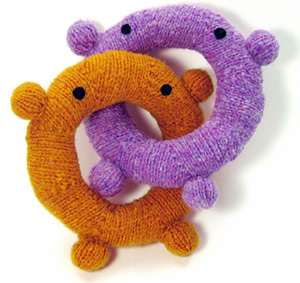 May your knitting adventures be joyous.